We Design, Build and Deliver Top Ranking Angular JS Apps. IQlance provides you a dynamic and a single page website or a web application using powerful framework and AngularJS is one of the many technologies that can be used to fulfill your requirement. AngularJS helps to create the wonderful user interface. At IQlance, we have an amazing team of experienced AngularJS developers who can give you the best in the industry. Hire AngularJS Developers from IQlance to give the best experience to users. 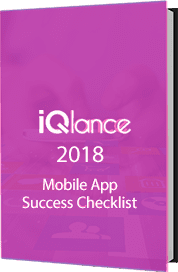 IQlance has developed several simple and scalable applications with sophisticated features catering to complex business needs for diverse industry verticals. Our AngularJS developers make use of cutting-edge tools and latest technologies to offer robust AngularJS development services. We inquire the requirements and hire dedicated & proficient AngularJS developer for your project. Our team analyses project requirements, technical feasibility and recommends expert AngularJS developer. We select expert AngularJS developer from our team of dedicated resources. We engage a quality tester to remove bugs and make the website user friendly. We let you take control and manage your project and get periodic reports about your project. We develop user friendly, browser and all devices compatible websites.